It's fall in beautiful Columbia- just chilly enough for sweaters, boots, hot chocolate, and some college football. 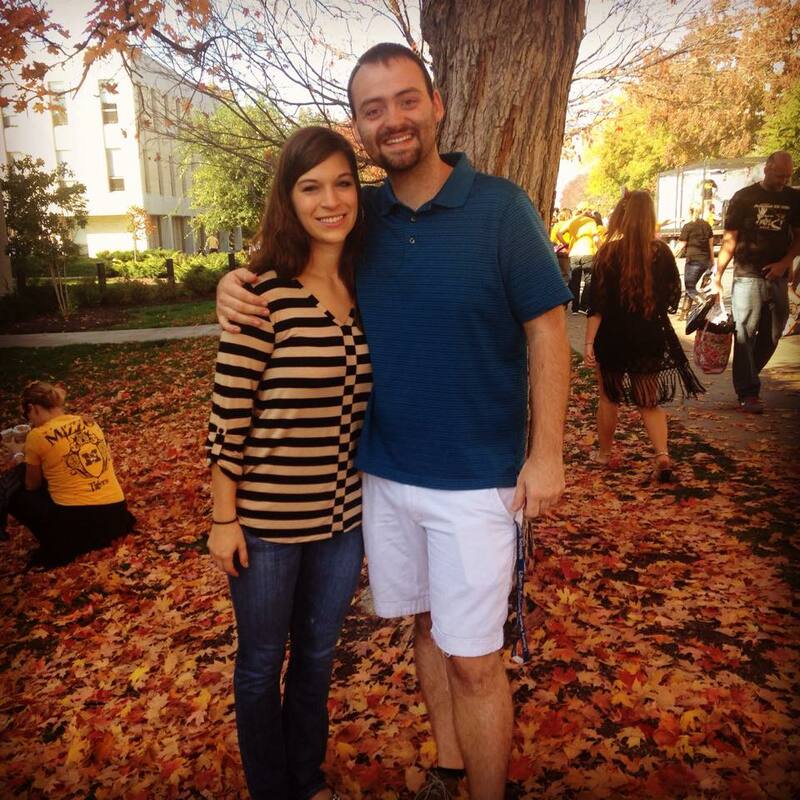 Aaron and I are both Tiger grads, and for the last four years, we've gone back to reminisce on our college days, check out the columns, and come "home" to see our friends who are now spread around the nation. There's just nothing like the University of Missouri Homecoming. After all, it's the birthplace of the whole idea. (Seriously, look it up!) 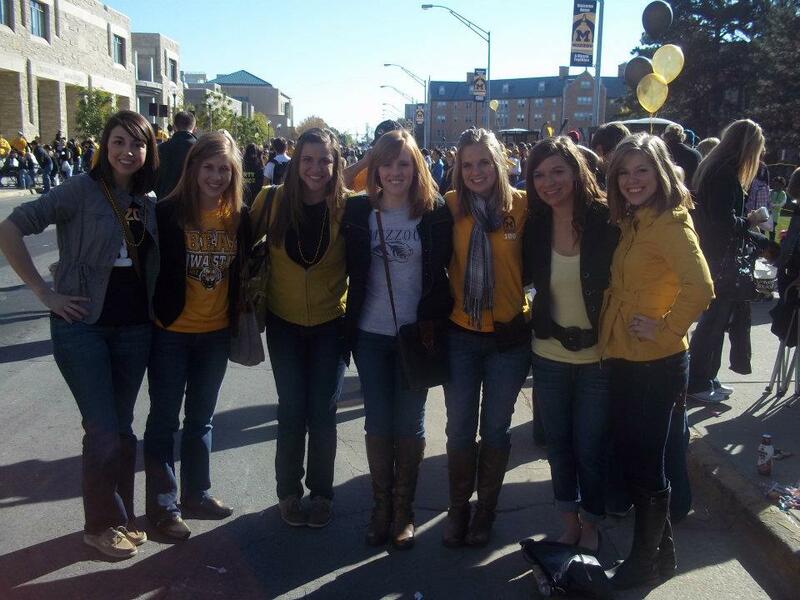 In honor of its 104th year this week, today I'm sharing five things I love about Mizzou Homecoming! Being a member of a sorority really makes you appreciate all the the work that goes into Homecoming week. Hours upon hours are dedicated to some incredible house decorations that fraternity and sorority pairings spend months "pomping" and planning while getting to know each other and swapping blood drive horror stories. Each pairing puts up their decorations on Friday of Homecoming week, and then shares a skit and fun activities for community members, alumni, and kids. Theta Mix, hot chocolate, and a pep rally really make this night a blast, and you can bet you'll see tons of old friends walking around Greektown. Every year it's worth dragging yourself out of bed to check out the Mizzou Homecoming parade. 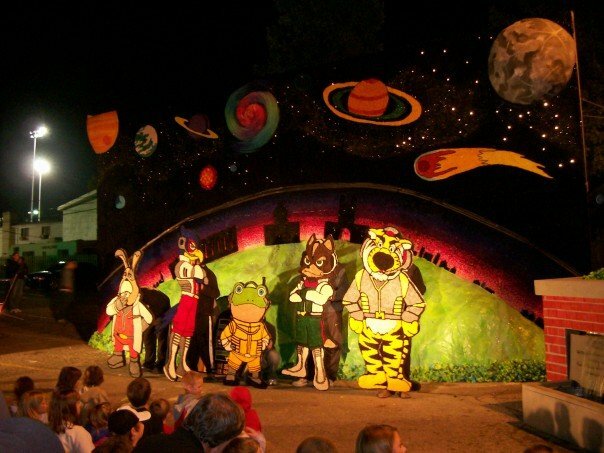 Winding through downtown Columbia and campus itself, the parade showcases the sorority and fraternity floats, as well as local high school bands, cheerleading squads, and more. When I was still a student, they used to have a free pancake breakfast in the student center too- the perfect way to start the day before heading downtown for coffee, lunch, and window shopping. The crew at the parade. Some people may not really care about the game itself, but I'm a huge sports fan. (I mean, I coach C Team Softball, so I'll watch almost any sport ha). College football is a blast, and the environment at all the games is SO much fun. There's nothing like joining in the Fight Song, Alma Mater, and other cheers in the student section. Marching Mizzou and the Golden Girls are always excellent. Plus, the Tigers have been really good lately, and were great when I was in school too. 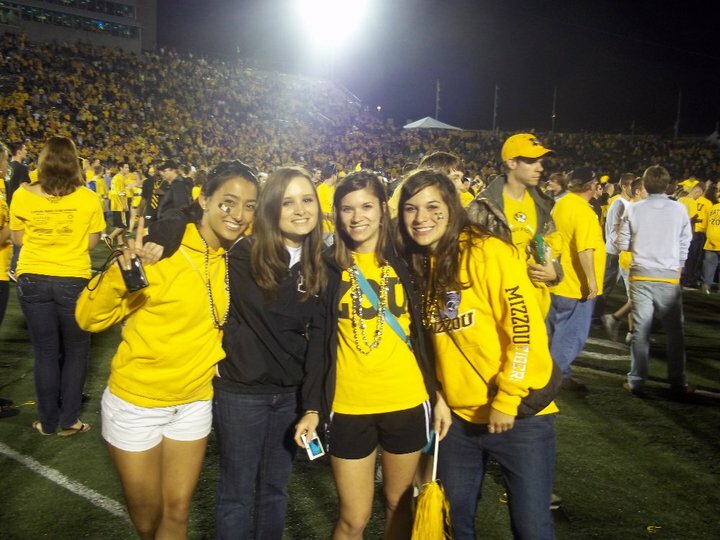 My senior year, we lost our voices cheering, beat number one ranked Oklahoma, and rushed the field. Some of my favorite Mizzou memories are at college football games. If you aren't a student or Columbia native, you probably have no idea about the Homecoming skits. They're another amazing part of the tradition, and one that takes a ton of time and planning. Sorority and fraternity pairings come together again with an excellent display of skit backdrops, props, humor, dancing, and singing. Jesse Hall lights up multiple nights during Homecoming week as the fierce competition for finals goes down. Together with scoring for the banner, blood drive, float, service, royalty, and house decs, skits help determine the winners of the Homecoming week, a cherished and hard-earned honor. Right after winning first place in Overall Homecoming ( a big accomplishment). Let's be real. The environment and activities of Mizzou Homecoming are top notch, but it's not the same without your friends. What keeps me coming back again and again is really just the chance to see the friends and classmates that became my family during my four years at Mizzou. Walking around the ol' stomping grounds, laughing at years-old inside jokes, and just getting to see other again truly makes Homecoming what it is. 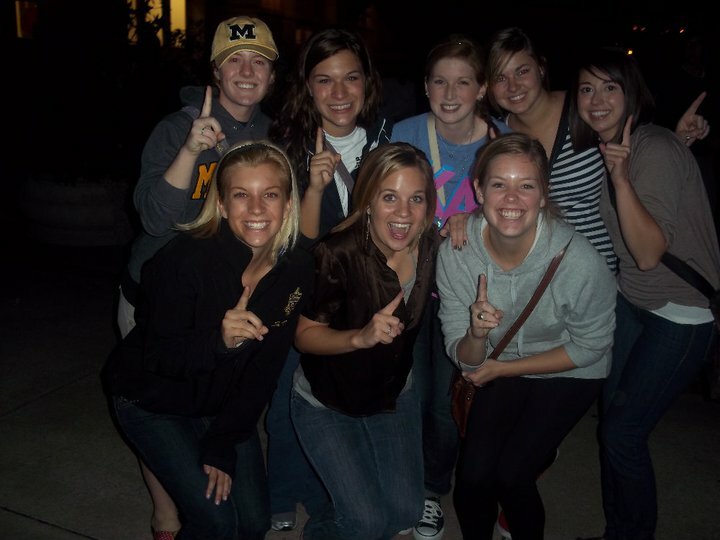 I am so thankful for my college friends that supported me, pushed me, and loved me at Mizzou (and continue to do so). They are truly what makes Homecoming "home". What does your school or alma mater do to celebrate Homecoming? What are some of your favorite college memories? Share in the comments below, on on the Currently, Kelsie Facebook page. 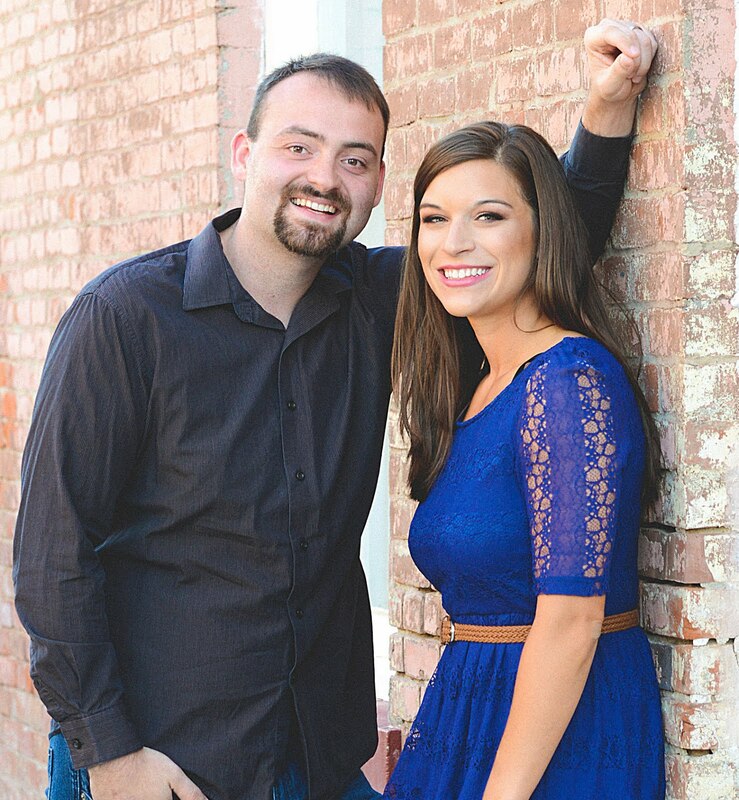 I'm linking up with A. Liz Adventures, What Joy is Mine, The Diary of a Real Housewife, Uniquely Unfolded, Grace and Love Blog, Motivational Monday, Modest Mom Blog, Me, Coffee, and Jesus, Running for Cupcakes, Momfessionals, Life in Leggings, Weekend Retreat Link Party, Just Another Linky, Women with Intention, A Wise Woman Builds Her Home, Coffee for Your Heart, Bliss and Faith, Painted Teacup, Giving Up on Perfect, Twinkly Tuesday, Tuesday Talk, and DIY Vintage Chic. wow who knew it took so much effort to put everything together? sounds like it's worth it though! love that first photo! Aw, this post made me nostalgic for college days : ) What a nice post! It's so fun to look at old photos and memories - your homecoming sounds like so much fun and the pictures show your energy. Weren't they fun days? I love looking at the old pictures. Thanks for reading! So many memories! I'm headed back to my alma mater for Homecoming in a few weeks for the first time since I graduated in 2009. Now I'm even more excited about it! Aren't the memories so great?? I bet you will have an absolute blast! Looks like a fun homecoming and a great weekend for football. I love sports too - esp. college football. Found you on Motivational Monday today. Thank you Melanie! It was so much fun!! Thanks for stopping by!